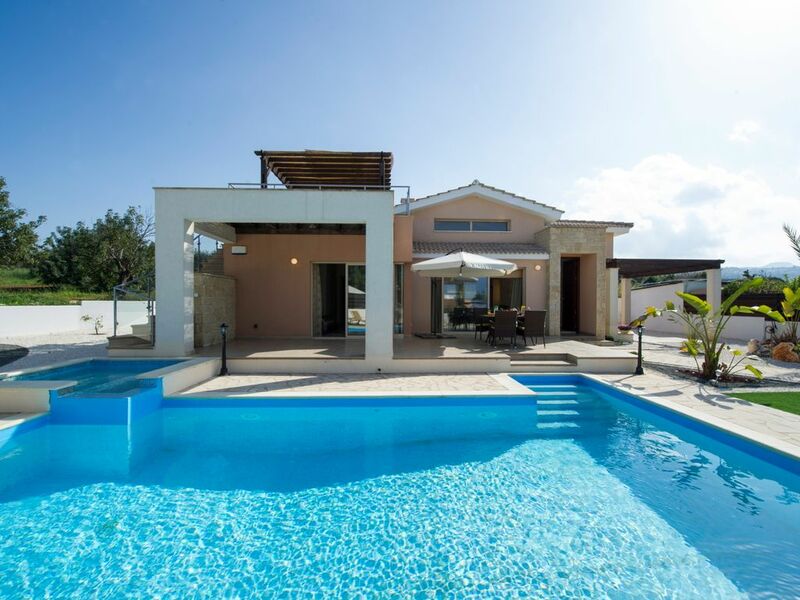 Villa Thalassa is located in Latchi, Cyprus. Our detached vacation rental property is air-conditioned and sleeps up to 6 people with 3 bedrooms, 2 bathrooms along with private swimming pool. The Villa is walking distance to the beach and restaurants. Villa Thalassa has has 3 air conditioned bedrooms. If an additional bed is required there is 1 folding bed. The villa can sleep up to 6 people. The villa is in a quiet street but within easy walking distance for the beach and facilities at Latsi. There is a lovely marina there with good places to eat and drink. There is also two supermarkets, one of which is well stocked and reasonably priced. The villa itself is well set out with a nice pool and lounging areas. When it was new it would have been perfect but certain aspects inside and out are worn and tired. The living room furniture needs replacing and there are a few broken things outside like a parasol and a couple of the sunbeds. Not so bad if there is just a couple of you staying but would be an issue if six were occupying. That said the kitchen has both a washer and dishwasher which is very helpful and the beds were comfortable. If maintenance went in and sorted the worn bits we would return to this villa without hesitation, as it is we would look for accommodation in the same area but a different villa. Really impressed with the villa, very spacious and clean and well equipped. Very peaceful area. Swimming pool was lovely. Good location, can walk to restaurants and shops. Only downside was the stony beach.